Photo 104. Laboe Naval Memorial. Laboe Naval Memorial. 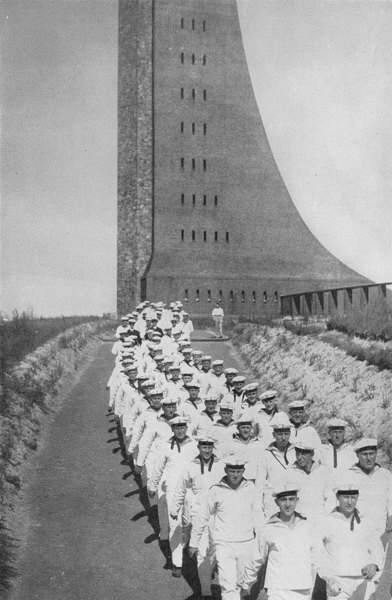 German sailors marching before the Laboe Naval Memorial near Kiel in the the 1930's. Inaugurated in May 1936, the 72-meter high tower survived the war undamaged and today the monument is a popular tourist attraction.